No leaks!!! Seriously! No leaks. I have had at least one leak a day while using tampons because I have a heavy flow. Often times I have to use super plus tampons AND pads! Ugh! No leaks with my magic cup! Comfort! Once it's in, you can't really feel it. Since the product is made of silicone, once it warms up it molds itself to the shape of your body. It's pretty amazing. Always prepared! I keep my Diva Cup in it's cute little pouch, in my purse. It is, literally, always with me. If my period surprises me I am never unprepared. No more cramps! No joke. I used to be bed-ridden because of my painful cramps. At least one day during my period I used to be quite literally in bed. Cannot lift anything, cannot vacuum, cannot work. All because I would bleed so heavily and have painful cramps! Not a great way to live. So, no cramps should be listed more than once. I'm in on the secret! This highly protected secret... a menstrual cup! How did they keep it a secret for all these years? Did the tampon and pad companies pay to have it buried? I feel so sad that I've had 14 years of periods without a menstrual cup! Here's the thing. I am in love with my Diva Cup. 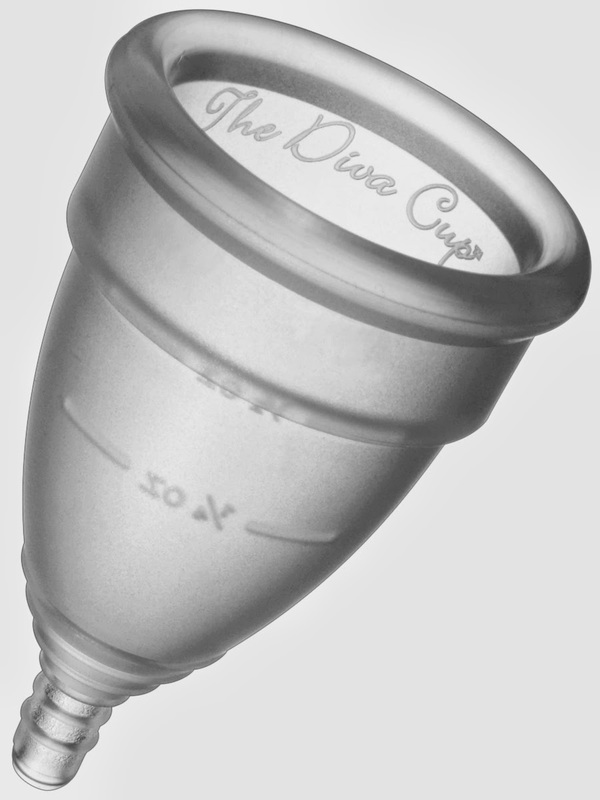 I hope everyone at least gives a menstrual cup a shot <-- no pun intended. Ew! LOL But, really. Give it a try because aside from my reasons I love my menstrual cup there are significant health benefits to using a cup instead of tampons or pads. I wish I had daughters to share the info with!